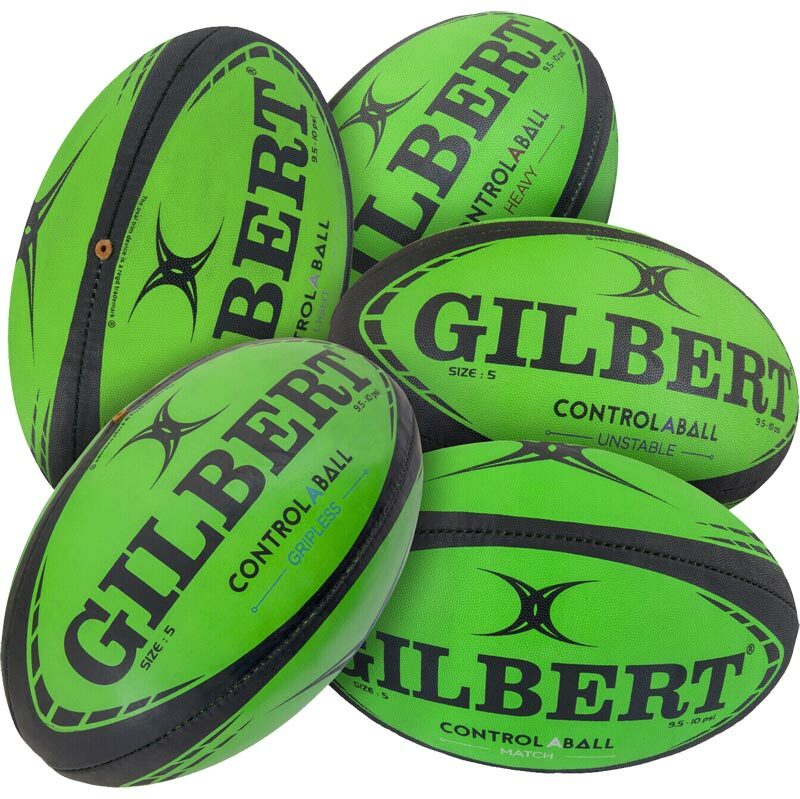 The Gilbert ® Control A Training Rugby Balls were developed with the former Springboks and Montpellier coach, Richie Gray. Control_A-Ball is a catch/pass system made up of 5 different balls (match, light, heavy, grip-less and unstable), using different ball at different times before using a standard ball greatly enhances player awareness and skill levels. Set of 5 balls to improve passing and catching. Each ball behaves differntly to challenge the user during training drills.